Who ever knew that frogs could be so stunning! Check out this beauty by KAKO for Field and Stream Magazine. 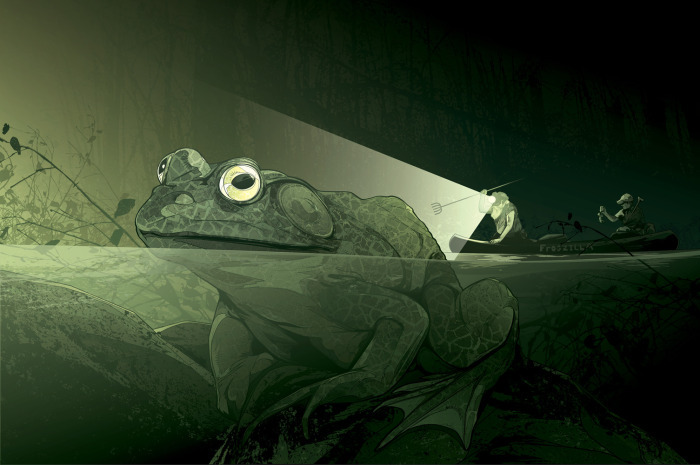 For their hunting section “Six Expert Tips for Catching Giant Bullfrogs” — Two kings of the swamp reveal their bullfrog secrets. Do you have a canoe called Frogzilla?